This year, I am adding another challenge to my list. This one will be more of a casual one, that I will disperse throughout the year. Inspired by a blog called Bunny’s Girl, and her challenge to read six Jane Austen novels and six Jane Austen inspired novels between January and December of 2019, I am hoping to at least read the six novels by Jane Austen and if possible, some inspired by her novels, but with this one, I have decided not to specify a number. This will be more of a casual challenge that I am aiming for, and won’t stress if I don’t get to some of the books, or can’t find Jane Austen books I am interested in – of course there will be many choices, but I will be looking for ones I enjoy first and foremost – this may take some of the pressure of, as I won’t be forcing myself into a specific book to check something off, and hopefully these books will also check off some other categories in my other challenges. I’ll try and post updates here as I go along throughout the year, hopefully once a month. 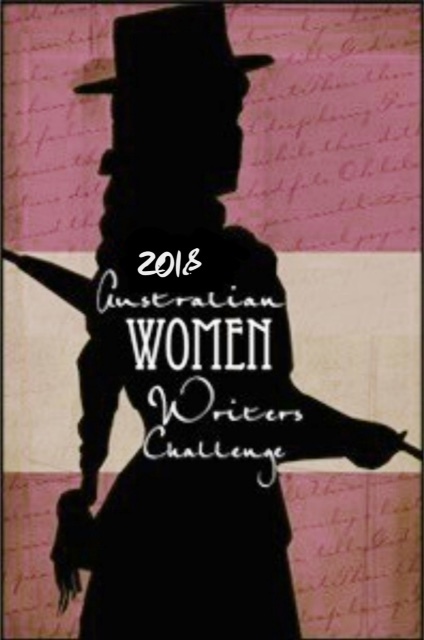 In what is likely my final Check in for 2018 for the Australian Women Writers Challenge, I’m making my list a little longer as it did not make sense to make another post for one or two books, given I did this in blocks of fifteen – and am debating whether to do monthly, or blocks of ten for next year to increase my content output. Most books are already out, but the seventy-sixth book is only out in January, and based on challenge rules and discussions with a fellow participant, counts in both years – as the review goes up in 2019. This is one of my wrap up posts for the year – still to come, my overall challenge, my Australian Women Writer’s Challenge, my overall reading log and number books read over the past twelve months, and my wrap up post for book bingo, which in theory, should include the intro for next year and that means I need to pick a book to read for the first square I’ll be marking off on the fifth of January, 2019 for book bingo with Theresa and Amanda. My past check-ins have each had fifteen books – but given how close to the end of the year we are, I did the final seventeen in one post. Over the year, I have read a wide variety of books by Australian Women, but mainly Young Adult, Fantasy, Kids, and Historical Fiction or Crime. Of these books, Graevale, We Three Heroes, Lenny’s Book of Everything and Fairy Tales for Feisty Girls have been amongst my favourites, for various reasons. Graevaleis the fourth book in the Medoran Chronicles and sees Alex and her friends trying to prevent their visions of the future coming true, now that Aven Dalmarta sits on the Meyarin throne. He is a threat to all Medora, and Alex must find a way to unite all the kingdoms and species. Despite resistance, for the most part, she succeeds. Until it comes to Graevale and the Shadow Walkers – whose indifference to the message she has been delivering around Medora will lead to a series of catastrophic events with devastating consequences. In the same series, is We Three Heroes – a trio of novellas told from the perspectives of D.C., Bear and Jordan across the series, based around key events that affected them as well as Alex. Chronicling their lives before, and after they met Alex and became the group of friends we love, as they navigate Akarnae and the ups and downs of life as their world heads into a war that they may not be able to win. Taking quite a different turn, is Lenny’s Book of Everything. A story about a family, a brother and sister whose lives revolve around building an encyclopedia letter by letter, and a rare genetic disease that makes Lenny’s brother Davey keep growing. With a bittersweet storyline told through Lenny’s eyes about these years and her search for her father and his family, this book will make you laugh and cry in equal amounts and stay with you long after the last page is turned. Finally, for everyone who always wanted to be the princess but be more than the girl waiting to be rescued – the girl who can take care of herself and where sometimes, the prince changes his fate for her, we have Fairy Tales for Feisty Girls. Filled with four fairy tales where the girl traditionally must wait for the male to come, these tales show Rapunzel, Thumbelina, Cinderella and Little Red Riding Hood taking charge of their own fate, as inventors and activists, adventurers and scientists within a fairy tale word frame. A wonderful addition to a growing fairy tale collection of traditional and reimagined ones. My stats and final comments will appear in my wrap up post in the coming days – but to finish off the year, I am looking forward heading into the 2019 challenge as the YA editor for the AWW blog as well as everything else. This has been a great challenge and I have had some excellent crossover with other challenges, that I hope to continue into next year. Synopsis: A poignant novel of heartbreak, adoption and family secrets by beloved bestselling Australian author, Fiona Palmer. Emma, a nurse and busy mother of three, has always dreamed of having a sister. Michelle, at 46, wonders if it’s too late to fall in love and find her birth parents. Sarah, career woman and perfectionist homemaker, struggles to keep up with the Joneses. Bill, 72, feels left behind after the death of his adored wife. Adam can’t stop thinking about the father he never had. These five very different people are all connected but separated by secrets from the past. Sisters and Brothers will both break and warm your heart in a way that only bestselling Australian storyteller Fiona Palmer can. Sisters and Brothers by Fiona Palmer explores the intricacies and complexities of family, and what happens when a family grows unexpectedly and has to face a crisis together. Bill, aged seventy-two, has recently lost his wife, and isn’t well – so it falls to his daughter, Sarah, to look after him. Just before his surgery and hospital stay, he discovers another daughter, Emma. At first, Sarah resists her new sister, Emma, yet at the same time, finds comfort in her, and confides in her, allowing her to become part of the family. At the same time, Adam, whose success as a florist and with his new life is taking off, starts to look for his father, and discovers a whole new family along the way. As Emma, Sarah and Adam find their way to each other, Michelle, who has always wondered about her birth parents, begins to look for them, yet for her, finding a way to be happy is more important as she ventures into new territory with her cake-making business. The love story in this novel primarily centres around family and the different ways love manifests with siblings, spouses, friends and children, mothers and fathers and everything in between. It explores family dynamics and what it means to find siblings as an adult, and how this can affect you and everyone involved. It is a powerful novel about family love, and the changes that sometimes come later in life to us and our families, and how we deal with them. With each new revelation, Sarah begins to accept the larger family she had always wanted as a child but never had. When Emma finds out after her father’s accident that Bill is her father, the initial shock wears off after she meets Bill, and eventually Sarah – with whom a bond soon forms, and she helps Sarah with the stresses in her life and overcoming them. Two sisters, who never knew each other, are soon caring for each other, each other’s families and Bill as they each gain something, rather than lose something in the wake of tragedy. Adam’s discovery of his father and sisters brings a new dynamic – with his partner, they are looking to grow their family with a child, but never expected siblings, nieces, nephews, and the father Adam never knew plus more, whilst Michelle seeks answers to her adoption, keen to find her birth mother and perhaps someone to love. What I enjoyed about this novel was that it focussed on familial love and friendship in all its variations and inserted a few romantic subplots that evolved from the family-oriented plot line. It is always refreshing to read these kinds of books that acknowledge more than just romantic relationships and place family and friends at the forefront of the plot line. By exploring these relationships, and issues such as adoption, single parenthood and familial conflict, Fiona Palmer has created a story that will hopefully resonate with many people. Another lovely, moving and poignant offering from Fiona Palmer, published by Hachette Australia. Synopsis: Renowned girl hero and feisty author Susannah McFarlane presents an illustrated collection of ’tilted’ fairytales featuring girls with smarts. Feisty: typically describes one who is relatively small, lively, determined and courageous. Girls can rescue themselves – just watch Rapunzel, Little Red Riding Hood, Cinderella and Thumbelina create their own happily ever afters in this beautiful and emboldening bedtime book. A glorious treasury for young girls – and boys – featuring artwork from four leading Australian illustrators: Beth Norling, Claire Robertson, Lucinda Gifford and Sher Rill Ng. Fairytales for Feisty Girls is my sixty-second book in the Australian Women Writer’s Challenge. The author, Susannah McFarlane, has taken four well-known fairytales, turned them on their heads, and given the female characters agency and gusto that in the older versions and many sanitised versions, they do not have. Here, we have Rapunzel, Little Red Riding Hood, Cinderella and Thumbelina all acting for themselves, in active and innovative roles. Rapunzel, forever inventing things, works out how to cut off her own hair, and asks a young man to tie one end around a tree so she can come down on a flying fox, Little Red Riding Hood uses her knowledge of plants and tea to trick the wolf, Cinderella makes her own fortunes, and Thumbelina seeks a family of her own. These girls do not let anyone stop them, they’re bold, brave and where their counterparts wait for someone to save them, it is refreshing and fun to see these girls do it for themselves whilst embracing a form of femininity that works for them, and where they do not give up who they are for their happy ever after, which is still there, but they make their own happy ever after, and stick to their convictions and beliefs. Allowing these girls to explore their identities beyond their name, and beyond what people think of them. They are empowered and show all children – all readers of this book, really, that you can be anything and do anything. So instead of passive Cinderella waiting for the prince, she finds a way to up and leave her step-mother and step-sisters, and create a new life for herself, just as Thumbelina journeys alone to find those like her. I am hoping there will be a second volume with different stories to show readers what they can do if they set their minds to it. Fairy-tales and fairy-tale retellings have been a passion of mine for many years. From the oral traditions to Jacob and Wilhelm Grimm, to Disney and all the authors such as Kate Forsyth wo have used fairy tales in their stories, the tradition of the fairy-tale is alive and well. Each retelling reveals something new, a new layer to the story, a new way to see history through the scaffolding of a fairy-tale, or a new way to explore diversity and identity. Each story is empowering and funny, set in a time of magic and wonder, and invention, in a place that is both far away but that could be anywhere. Each story has been illustrated by a different artist – and yet, they flow seamlessly from one storey to the next in a wonderfully cohesive style that feels as though one person was in charge of the illustrations. They work brilliantly with the short stories that are divided into short chapters, perfect to read with your child or to be read alone. An excellent book for all ages that defies stereotypes and empowers girls of all ages and backgrounds to be and do what they wish. My next fifteen takes me to book 45 of the challenge – The Peacock Summer by Hannah Richell. In this set, I read a wide array of fiction – all by authors I had never read before, from contemporary fiction, to historical fiction, literary fiction, and kids’ books that delved into the world of spies, and one of my favourite periods of antiquity, the Minoans and the explosion of Akrotiri on Thera. I read a non-fiction book by Kitty Flanagan, which was more like an extended comedy routine, to mysteries and family legacies. From World War Two seen through the lens of Jewish refugees in Shanghai, to book illumination in the middle ages, and the melding of various mythologies and histories to create unique characters and voices that stretch out across the decades and centuries to tell stories of war, family, fear and mystery, and the fun of child spies and wildlife adventures. These next fifteen were recently completed and, the last fifteen will take me to the start of August. Just over half way done for the year, I have read four times what I pledged, and hope to read many more in the months to come, adding to my ever growing list. We See the Stars by Kate van Hooft. So far I haven’t mentioned favourites on any lists, because there have been so many on the others, but on this one, The Jade Lily, Kensy and Max, Swallow’s Dance and The Peacock Summer are the ones that stood out for me and that I enjoyed the most for various reasons, all stated in my reviews on these books.